This past weekend the IGDA Board of Directors, along with Joshua Caulfield, our Executive Director and Charles Sapp from Talley Management Group, convened in San Mateo, CA for a 2-day Board retreat. This was an extremely productive weekend as we moved several things forward, and established a stronger framework to grow from in the coming year. Many thanks to John Romero and Gazillion Entertainment for providing us free space, snacks and hospitality throughout the weekend. Our biggest focus was to revisit our committees and to establish several new committees, which will be better suited to focus on specific areas critical to our success and our ability to serve our members. As a result several changes and additions have been made. Our old Events committee is now the Events, Sponsors and Partners (ESP) Committee, the Programs and Membership committee has been split into the SIG committee, the Chapter committee and the Members committee. The first two focusing on SIGs and Chapters respectively, with the latter focusing on increasing our member value, participation and retention. We also established a Technology committee to drive our technology initiatives forward, and a Communications committee to better manage and consolidate all of our communications. In a direct effort to help ensure a better International focus, almost all of these committees include in their charter, a mandate to include at large members who are located outside the US and outside North America. In addition to the committee work we also approved the final draft letter stating our support of the FCC’s Open Internet Initiative. More information about this will be available in the near future. The previous draft and related member comments were posted previously. The last direct action taken was to appoint Brian Robbins to the Board of Trustees for the IGDA Foundation. He replaces outgoing trustee Mitzi McGilvray. Significant discussion was had beyond these direct actions, and there should be a lot more progress and results as these committees begin to take on their respective tasks in the coming weeks and months. The IGDA Policy and Advocacy Committee has drafted a policy on Open Internet and we are seeking feedback from members who care about the issue. You can access our current draft for review here. The document was drafted in response to the Federal Communications Commission’s request for comment on their Notice of Proposed Rule-Making released October 22, 2009. (Special thanks to IGDA member Dan Scherlis, who did the lion’s share of the work on composing the draft.) After some detailed review, we’ve determined that we are in favor of Open Internet as outlined by the FCC and we intend to file a letter by their RFC deadline on April 28. We’ve run our policy by a lot of expert members already, but before we file with the FCC we wanted to open the document for feedback from our general membership. Our policy position is only two pages long so I encourage you to read it, but the high-level summary is simple. The IGDA strongly supports a rule that prohibits blocking and discrimination. Legal uses of the Internet should be freely allowed. The IGDA strongly supports prohibiting ISPs from charging providers of content or services for the right of access to their Internet-service customers. This applies to mandatory charges for access to the network (or subsystems thereof), and to charges for fully-competitive transport. The IGDA strongly supports transparency, for benefit of both customers and providers. Please leave your feedback in the comments of this post. The FCC deadline for submission is April 28. To be able to collate all of your comments in time for the Board of Directors to review and approve the final wording, we need to have your feedback by Thursday, April 22. Thank you, and I look forward to your feedback! 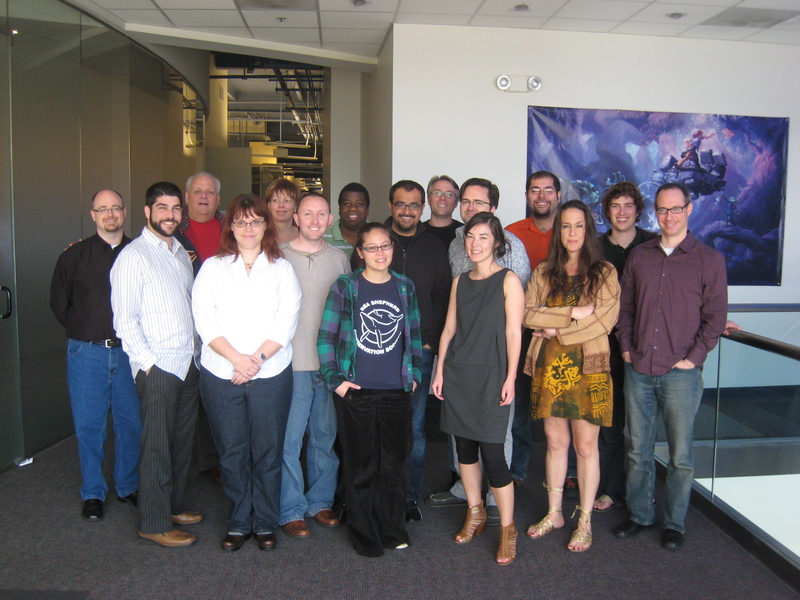 You are currently browsing the International Game Developers Association Board blog archives for April, 2010.